Q1 2013 report highlights continued growth of residential solar in U.S.
PRYSMIAN GROUP TO SHOWCASE AT 2013 RENEWABLEUK OFFSHOREWIND IN MANCHESTER. READY TO SUPPORT NEW ROUND OF OFFSHORE WIND PROJECTS WITH INVESTMENTS, LONG TERM COMMITMENT AND ENHANCED TURN-KEY CAPABILITY. 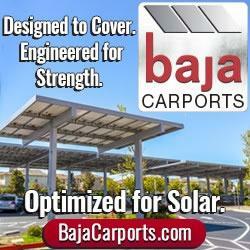 Santa Clara's solar research facility uses HatiCon Solar's Ground Mount. Vista Solar completed the installation of the City of Santa Clara's first solar research installation. 06/11/13, 07:20 AM | Solar & Wind | canadian association for renewable energies (we c.
Environmental Commissioner criticizes ignorance of green heat from renewable energy. In early June, the Fronius Galvo and Fronius Symo inverters will receive the biggest innovation prize for technology in the world. Live video chats teach the kids about what goes into designing and building a solar home, and allow the elementary students to ask questions. NSS endorses this initiative and will work to forge an international organization involving America, India and other nations to develop space solar power. India has "engaged in a persistent pattern of discrimination designed to benefit India's business community at the expense of American jobs. GEA will provide reports and visuals showing recent geothermal development activity in the U.S. as well as international projects involving U.S. companies.